The government of Saudi Arabia imposed new punishment measures, according to which Saudi citizens will be sentenced to up to five years of jail time for showing sympathy to Qatar via social services, amid the escalating row between Doha and its neighbors, local Al-Akhbar reported Wednesday. DUBAI (Sputnik) — Earlier in the day, the general prosecutor of the United Arab Emirates also announced punishment of its citizens for expressing sympathy to Qatar, saying that the nationals will be imprisoned for up to 15 years and will also have to pay a substantial fine. According to the Al-Akhbar newspaper, the Saudi citizens will also be forced to pay a fine of three million Saudi riyals (almost $800,000) for showing their support to Doha. On June 5, Bahrain, Saudi Arabia, Egypt and the United Arab Emirates severed diplomatic relations with Qatar. 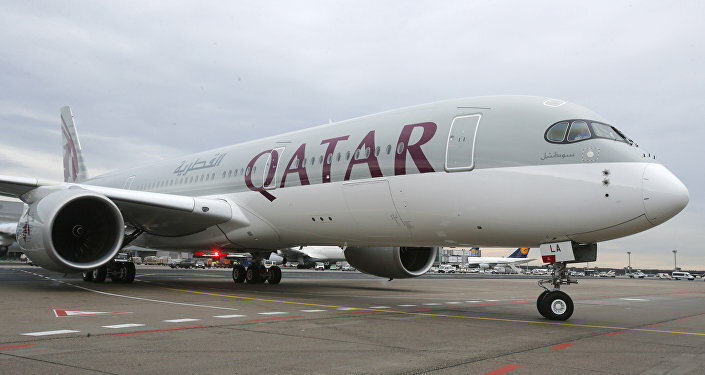 The states accused Qatar of supporting terrorist groups, particularly the Muslim Brotherhood terrorist movement, as well as of interfering in other countries' domestic affairs. Libya made a similar decision. Yemen cut diplomatic relations citing Doha's links with Houthis. The Maldives took the same step, citing extremism and terrorism concerns. Mauritius joined the boycott. Mauritania broke off diplomatic ties with Qatar while Jordan downgraded ties with the country on June 6. The Comoros joined the campaign on June 7. The Qatari Foreign Ministry rejected the accusations of Doha's interference in other countries' domestic affairs and expressed regret over the decision of the Gulf States to cut off the diplomatic ties with it.